Theresa McClenaghan is executive director and counsel at the Canadian Environmental Law Association. Passion and doggedness are essential for the lawyers who lead Canada's environmental non-profits. Nothing about practising environmental law in the non-profit sector is easy, and that includes finding a place to park your desk. Theresa McClenaghan, executive director and counsel of the Ontario-based Canadian Environmental Law Association, may have been active in the field for 25 years, but she has only recently arrived at a solution she is happy with for housing her legal aid non-profit. That struggle just to find proper office space reflects the huge challenges, on many fronts, facing lawyers who work in not-for-profit environmental law organizations. While Canada now has a clutch of such non-profits scattered across the country, they remain underfunded and understaffed. At the same time, they are massively overextended in terms of the demands on their time and resources, an issue that has intensified as the public, government and private sector focus more and more attention on the environment, from climate change to pipelines to the concerns of indigenous communities. So, why do these lawyers do it? It can’t be for the much-lower-than-average pay, the long hours, the burnout, the complex litigation files fought against lavishly funded opponents, not to mention the need for constant outreach to maintain the trickle of financial support from government, private donors and the ever-shrinking resources of law society foundations. Like all of the litigators interviewed for this article, McClenaghan points to early childhood experiences. “My father worked at TransCanada pipelines,” she explains. “I grew up on pipeline compressor stations all across the country. So we lived in, basically, the wilderness in northern Ontario and the Prairies, and I was very devoted to the outdoors.” By the time McClenaghan reached university, she was committed to working in environmental protection. But initially, law was not part of the plan. It was while completing an undergraduate science degree that McClenaghan began to think that a legal education could provide powerful tools to fight the battles she saw ahead. A preference for litigation showed itself early, and McClenaghan focused as much of her training as possible on courtroom skills and environmentally related subject areas in the early ’80s, when there were very few dedicated environmental law programs at Canadian law schools. McClenaghan spent several years in a private general litigation practice, partly for family reasons, and finally joined CELA full time in 1998. She has been the group’s executive director since 2007. During her 25-year career as an environmental law litigator, McClenaghan has acted on files ranging from the mid-1990s Walkerton Inquiry into tainted drinking water, which garnered international attention and led to tough new legislation in Ontario, to matters dealing with pesticides, green energy, air quality and, more recently, the safety of nuclear power plants and radioactive nuclear waste disposal. But while pursuing their work on substantive environmental issues, lawyers at these non-profits often get pulled off into many other energy-sucking functions. Too often, they find themselves spending huge chunks of their time, sometimes 40 to 50 per cent, depending on the organization, performing tasks not directly related to their legal work. Those activities can include public speaking and fundraising, community outreach, media enquiries on breaking news, lengthy grant applications and education. The latter might even include vetting the pleadings of private sector lawyers who require assistance, for instance, with drafting documents for plaintiffs in a class action. On top of all this, the work is likely to be subjected to sudden, often probing public attention. Clogg recalls the abrupt onset of media demands when the government of former prime minister Stephen Harper rolled back environmental protections in 2012. Many key changes were deeply buried in a 400-page omnibus bill headlined by the federal budget. “A reporter had gotten a leaked copy, and he called me every half hour, looking for comment,” Clogg says, recalling the need to be up to speed on the proposals in a highly compressed time frame. David Estrin is one of Canada’s most senior lawyers practising environmental law, with decades of experience that range widely from non-profits to academic appointments to private practice. He is the co-founder and co-academic director of the Environmental Justice and Sustainability Clinical Program at Osgoode Hall Law School, a founder of CELA (in 1971) and counsel to Gowling WLG. While some members of the public, government and private sector firms may view this type of environmental activism as extreme or lacking in balance, that is not a view he shares. For one, these clinics use and adhere to the existing justice system. “They don’t push radical [agendas] in the courtroom, because they know they won’t be listened to,” he notes. Making things more difficult, it appears that lawyers who do wish to practise in this area require an unusual level of personal commitment. That includes a willingness to become knowledgeable in non-legal areas, many with a science component. That can include diving into the molecular composition of pesticides, absorbing the oral legal traditions of First Nations communities or finding novel ways to enforce existing laws. Lisa Mitchell, the only full-time staff lawyer at ECELAW in Halifax, grew up in rural areas and had early ambitions to be a veterinarian. She became a lawyer instead and then did a masters in environmental studies, including many science courses, all with a view to environmental protection. Now, with many years of private practice behind her and acting as both the executive director and senior lawyer for the clinic, she still spends much time educating herself about the science of the issues ECELAW takes on. She also acts as fundraiser (it does not get legal aid), communications professional, government liaison and public outreach. “It is certainly big,” she says, when asked about the range of functions her role entails. As head of one of the most thinly funded environmental non-profits, Mitchell has also learned how to be creative. A current push to establish a new bill of environmental rights for all provinces was recently launched in Nova Scotia with the assistance of the Wooden Monkey, a local restaurant whose owner sits on the board of ECELAW. “We look for people who are really passionate about the area and who have varied interests,” Mitchell says, noting that connections like this in the community can assist on less traditional but effective fronts, such as using social media to reach potential supporters. Indeed, the complex, sometimes delicate balancing act between these non-profits and governments may be the single most challenging relationship these lawyers negotiate. While seeking legislative reform, for instance, they may easily find themselves suing the same governments they are hoping to persuade. Part of a successful strategy, she adds, is acknowledging constraints on government while at the same time helping supply the information it may need. “They need to have the political space to move in the direction that we want them to go,” Clogg says, “or even those [directions] that are consistent with their own policy or mandate. At least one environmental non-profit has made the decision to focus the majority of its efforts on litigation as a tool to obtain objective decisions and raise the profile of environmental issues. Ecojustice is entirely funded by private donations and is the largest environmental non-profit in Canada, with offices in Ottawa, Toronto, Calgary and Vancouver. Under executive director Devon Page, the board and staff decided several years ago to refocus on litigation, with law reform remaining a key priority. Recent successes include a lawsuit launched in 2016 on behalf of the World Wildlife Fund, which sought an order for the federal government to remove Shell Canada’s long-expired 1971 oil and gas exploration permits in Lancaster Sound, part of a proposed new federal marine park in the far north. The matter was settled in August 2017 when Shell voluntarily relinquished 30 permits, allowing the boundaries of the park to be expanded. 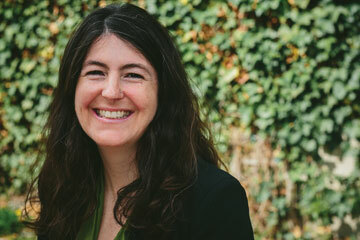 For Ecojustice staff lawyer Kaitlyn Mitchell (no relation to Lisa), the size and funding depth at Ecojustice, as well as the tighter focus on litigation, means relative freedom from the fundraising and other activities that can eat up precious time and energy. True to the pattern of litigators in this field, she recalls a childhood love of — and concern about — nature, one that led to the early focus that eventually helped her obtain a non-profit position in her field, where jobs are notoriously hard to come by. 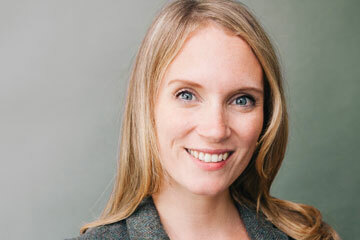 After obtaining her LLB with a certificate in environmental law from Dalhousie, Mitchell worked as a summer student at Ecojustice and then landed an articling position at CELA. She joined the staff in 2010 and now focuses on environmental rights issues, both in terms of the campaign to achieve a national environmental bill of rights and related litigation. After a decade practising exclusively in the non-profit sector, she says it is both highly satisfying and, at times, a struggle: The services are free, the demand is huge and it’s tempting to take on yet another meritorious claim. “There’s a serious risk of burnout,” Mitchell says. What might help is more firepower on the non-profit side or even more stable funding. Both Estrin and Doelle have suggestions on that front. Estrin notes that costs rules could be updated, so principles that originated in 19th-century commercial law — loser pays — are modified to protect plaintiffs from ruinous financial punishment should they lose. Doelle points to law foundations, and the legal profession in general, as potential sources for more funding.